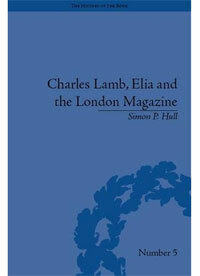 Dr. Simon Hull, Assistant Professor of English, College of Science, has recently published a book entitled “Charles Lamb, Elia and the London Magazine: Metropolitan Muse”. The book was released in January 2010 and is published by Pickering & Chatto. Through analysis of the early nineteenth-century author, Charles Lamb, Dr. Hull proposes that a certain metropolitan literary personality is articulated through the appearance of the familiar essay as a magazine article, or periodical text. The Elia essays often feature contemporary London sites, scenes and life, but are metropolitan for another, more broadly cultural reason. This is the essays’ pivotal role in the overall, self-consciously urban project that is the London Magazine, and the way in which the playful, autobiographically phantasmal figure of Elia embodies the crowd-merging elusiveness of the quintessential city dweller. As the subtitle, ‘metropolitan muse’, suggests, this book challenges the dominant conception of the nineteenth-century metropolis as a morally, socially and psychologically disturbing phenomenon, with the identification of a more positive tradition, in which the civic virtues of democracy and tolerance are celebrated, in addition to the pleasures of theatrical culture and consumerism. Dr. Hull says of his book that it ‘challenges a lingering bias in criticism toward poetry and the rural scene in romantic studies, and in the process broadens our understanding of how literature engages with the city’. Dr. Hull received his Ph.d in English Literature and M.A in Romanticism from the University of Bristol, United Kingdom. He is currently Assistant Professor of English, teaching the undergraduate module, ‘English Literature, 1580 to the Present’ at Alfaisal University, Riyadh. Dr. Hull has also published the following: ‘The Ideology of the Unspectacular: Romantic Theatricality and Charles Lamb’s Essayistic Figure’, Romanticism on the Net, 46 (August 2007), ‘Spellbinding London: Charles Lamb’s “Elia” and the Old Country House’, Studies in Romanticism, vol. 48 (Spring 2009), pp. 121-38 and Introduction and essay, ‘Editing Elia: Lamb, the London, and the Essayistic Figure’, The British Periodical Text, 1797-1835 (Tirril: Humanities E-Books, 2008), pp. 6-18, 20-35. 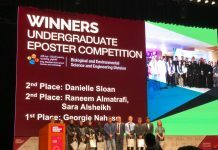 The College of Engineering at Alfaisal University believes that exposure to industry is vital to the student’s professional development. To foster this belief, the college routinely organizes executive seminar series and field trips to industrial establishments.